The increasing ubiquity of VUI presents both a challenge and great opportunity for business and users. Learn how to design and build better experiences for this new interface paradigm. There are a lot of tried and tested principles that come together to create a great user experience. But applying them to voice will require some adaptation. This book explores how we can adapt existing UX methods and sets out to create new ones to improve experience design for voice user interfaces. So who's this book for? 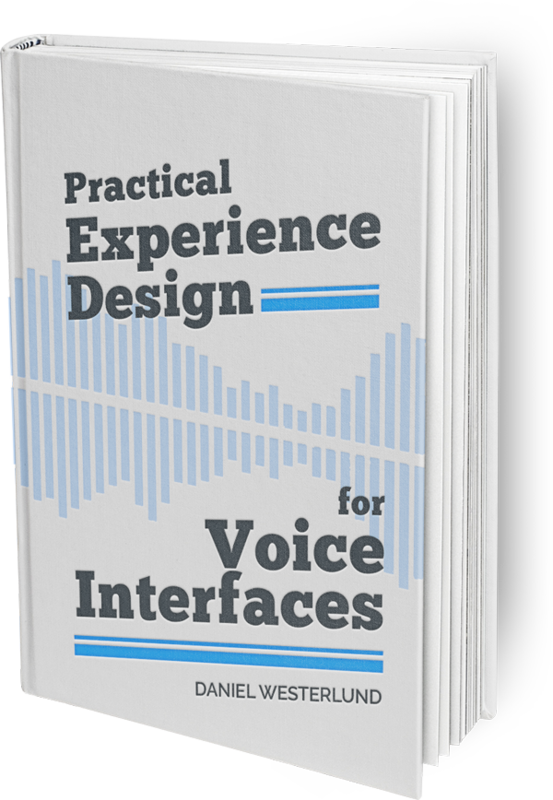 This book is aimed at existing UX designers - or people who have knowledge of the fundamental concepts of UX - and want to evolve their skillset to design for voice interfaces. It is also for people without UX experience who have an interest in learning more about the practices and ideas around building voice or conversational interfaces. The framework developed for interaction design has long been a key component in UX thinking since they were published in 1995. But they were never really considered for voice interfaces. We go through each heueristic individually and explore how they can be applied in a voice context. Theory alone is not really enough to explain such a fluid and rapidly evolving disciple such as voice UX. That's why this book features interviews with people from various industries, each with a direct connection to VUI. Enter your email address below and we'll send you a FREE sample chapter to download. © Digitalime 2017. All Rights Reserved.